It felt like just a few weeks ago that we were sat along the bank of Henley-on-Thames watching the boats go steamrollering past. But somehow, the first weekend of July had come around once again, and we could barely contain our excitement during the weeks leading up to it. I used to row whilst at university, and my old crew and I have stayed the best of friends ever since. 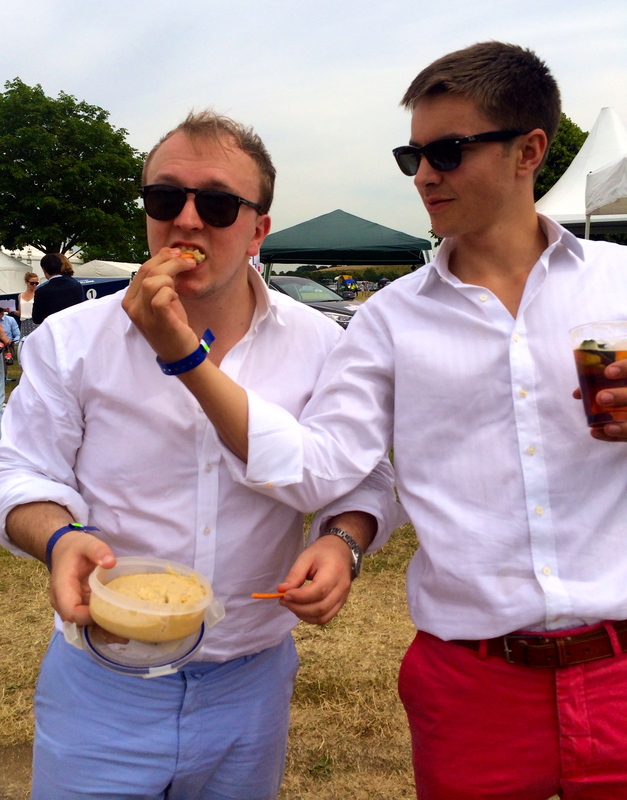 Going down to watch Henley Royal Regatta each summer gives us the perfect excuse to catch up and get all nostalgic about the good old days of rowing. It really is one of my favourite weekends of the whole year. The sun is (usually) always shining, the Pimms flowing and the Mahiki tent booming. 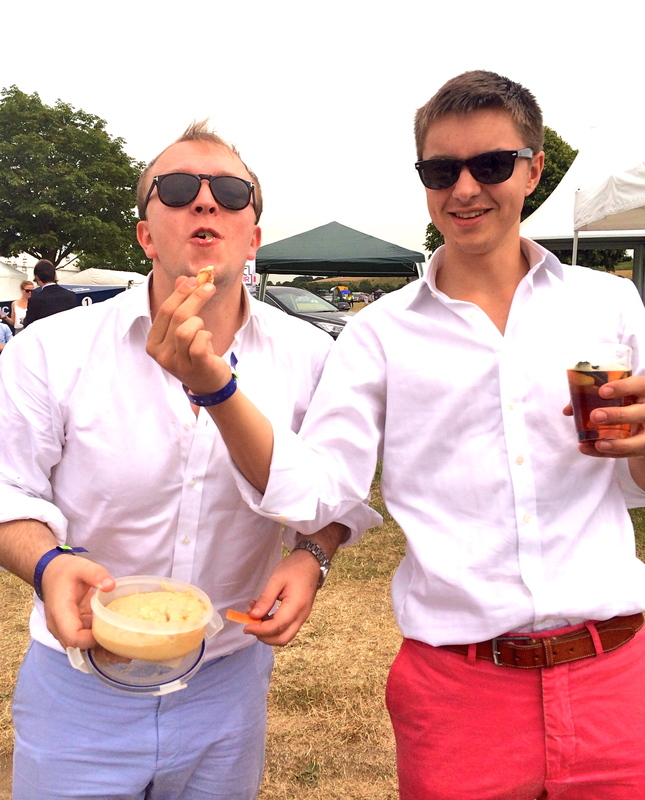 This year was no exception, and as usual, thousands of people lined the banks of the river to watch some serious racing… or just drink too much Pimms. It’s the most beautiful setting, so whether you are interested in the racing or not, it really doesn’t matter. Everyone is just happy to be enjoying such a lovely atmosphere. 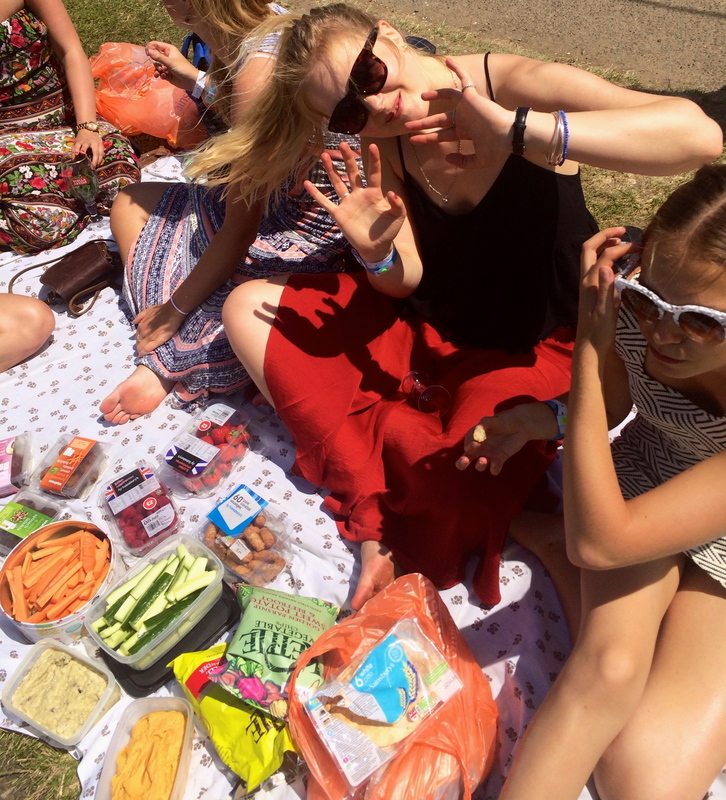 However, there is one thing that everyone takes VERY seriously- the picnic. 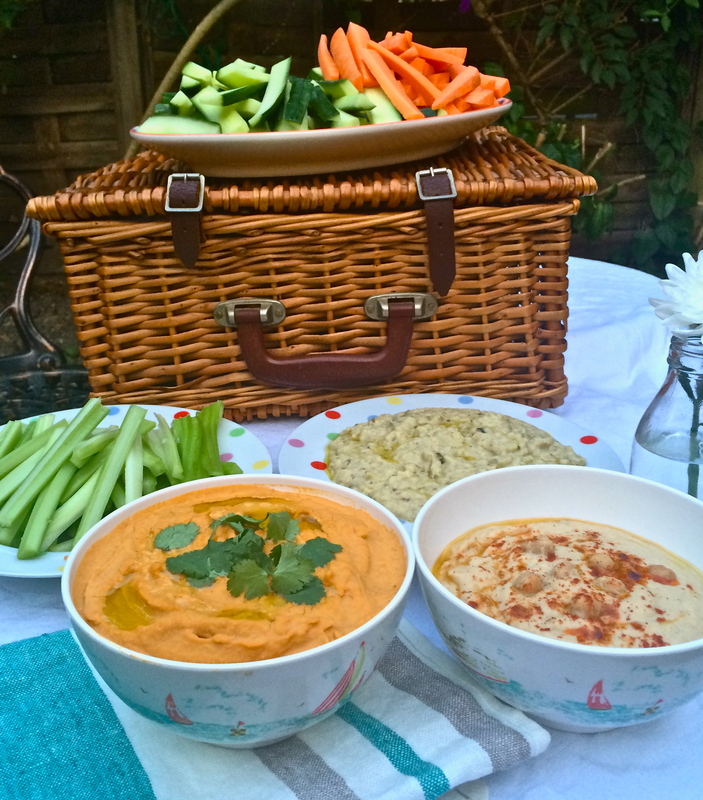 We all divided up which parts of the picnic we would each bring along, and I ended up in charge of the dips. 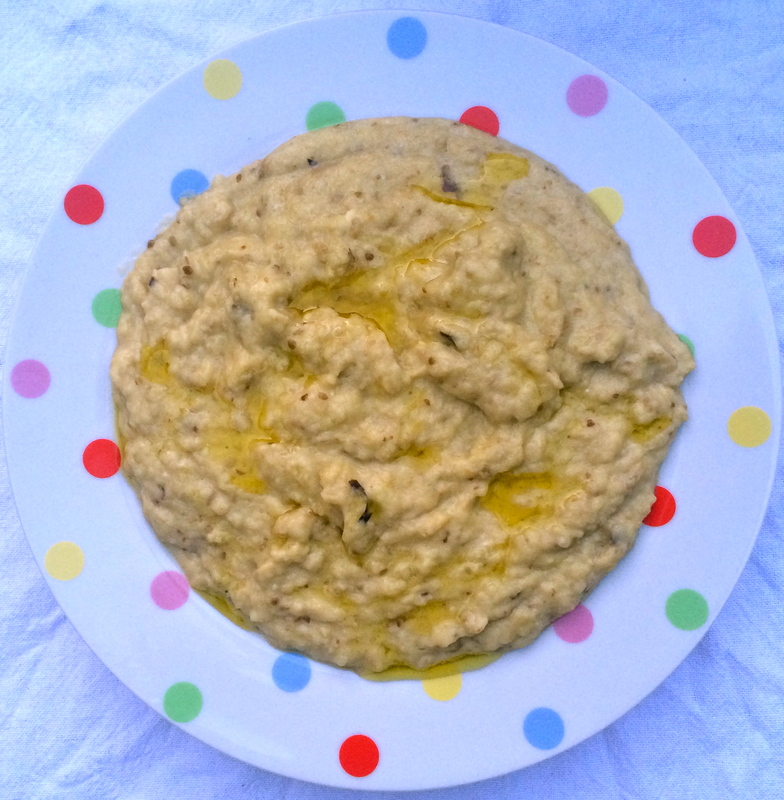 Of course I made some obligatory hummus (it wouldn’t be a picnic without any) but I also opted for a slightly alternative dip that isn’t quite as popular- baba ganoush. 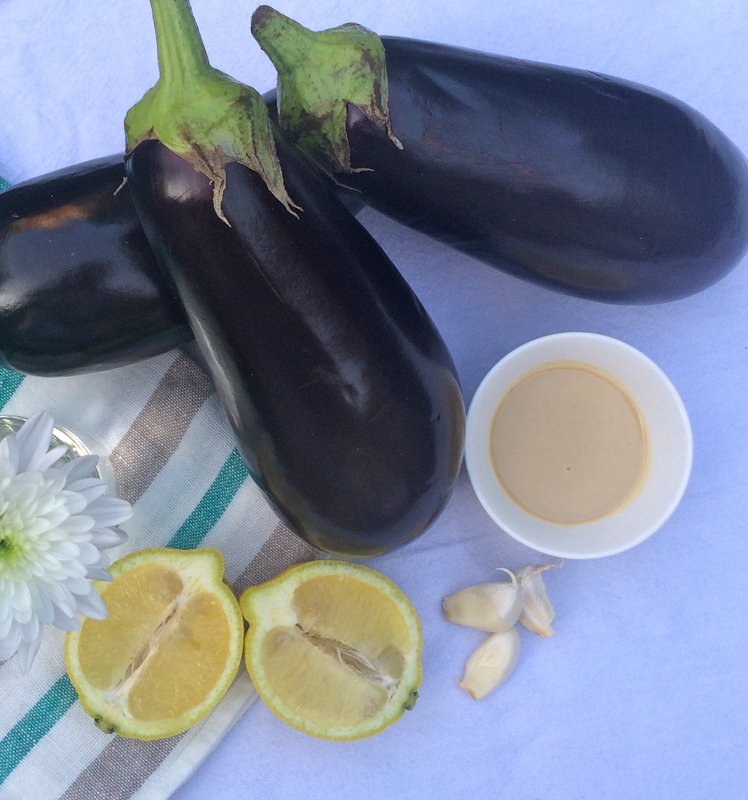 It sounds rather silly, but it’s actually a really sensible aubergine concoction. I loosely based mine around Paul Hollywood’s recipe. This is so easy to throw together. 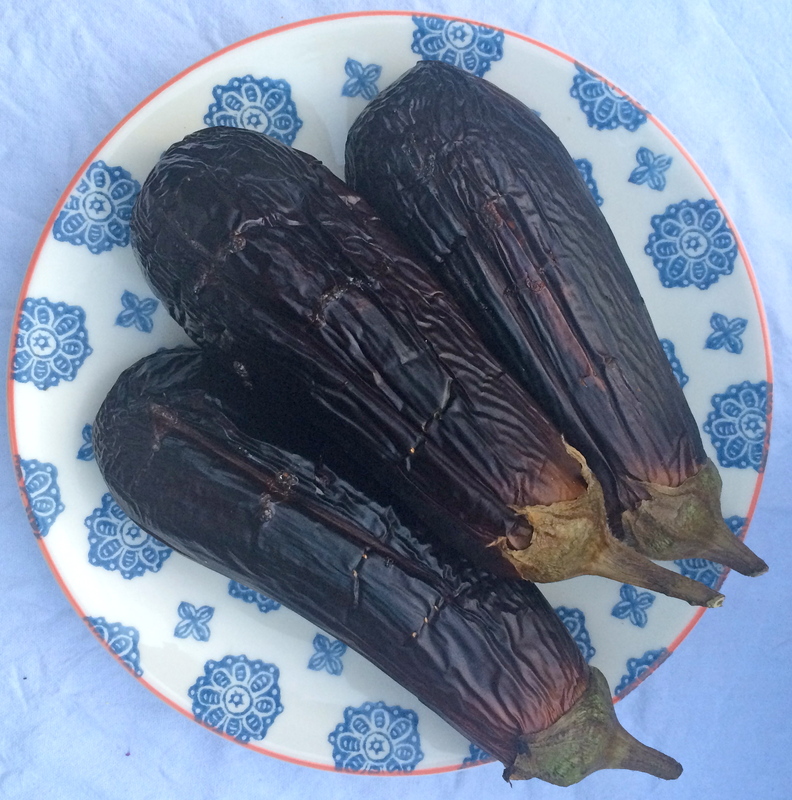 First, score the aubergines and pop them under the grill, whole. Leave for about 15- 20 minutes, turning halfway, until the skins have gone all shrivelled and blackened and they are soft inside. Grilling them gives a lovely smoky flavour to the dish. Split them open and scoop the soft insides into a bowl. Stir in the crushed garlic, tahini, olive oil and lemon juice until it’s properly combined. I gave mine a very light blitz in the blender just to make it a bit smoother. Pour into a bowl and top with a drizzle of olive oil. It’s not much of a looker, but it tastes good. To go with it, I made some hummus and you can see the recipe here. I also made a sweet potato hummus too just to add something a bit different. Follow exactly the same steps for the normal hummus recipe, but roast a sweet potato in the oven until it’s soft inside, and then blitz in the soft flesh with the chick peas at the end. It makes a really nice sweet variation. Chop up plenty of crudités to go with it- there’s nothing worse than having loads of left over dip and nothing to dunk in it! I went for carrot, cucumber and celery batons. Pop it all into tupperware and into a hamper and it’s good to go! And alternated between munching and dipping our toes in the river- it was an absolute scorcher of a day! The boys romantically fed each other hummus…. Ok, perhaps there was too much Pimms hydration! There’s nothing more soothing than the sound of boats flying down the river, and it made all of us want to jump back into a boat and race again. 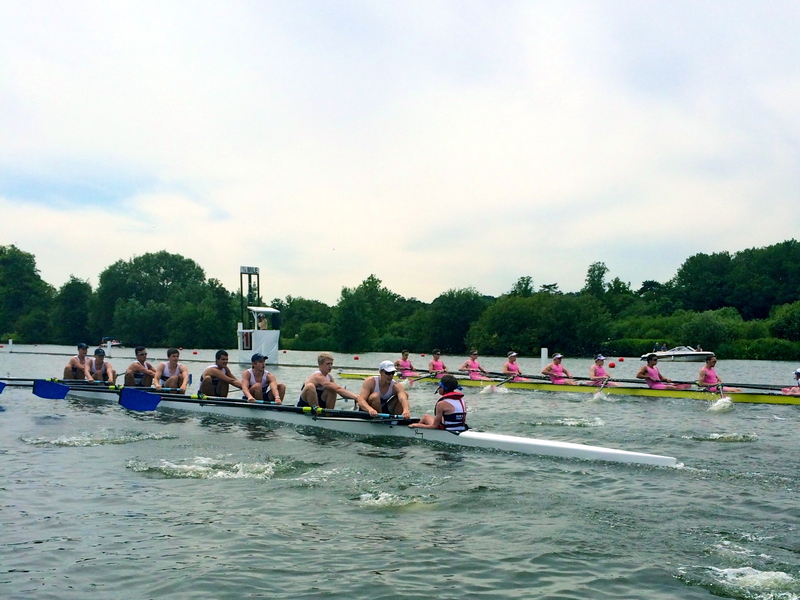 Everyone was wonderfully cheerful, and even strangers would stop to say hello and cheer along the crews together. We made the most of the day and stayed by the bank until the racing was long over and the sun had begun to set. But eventually, Mahiki called and we all headed off for a night on the town. 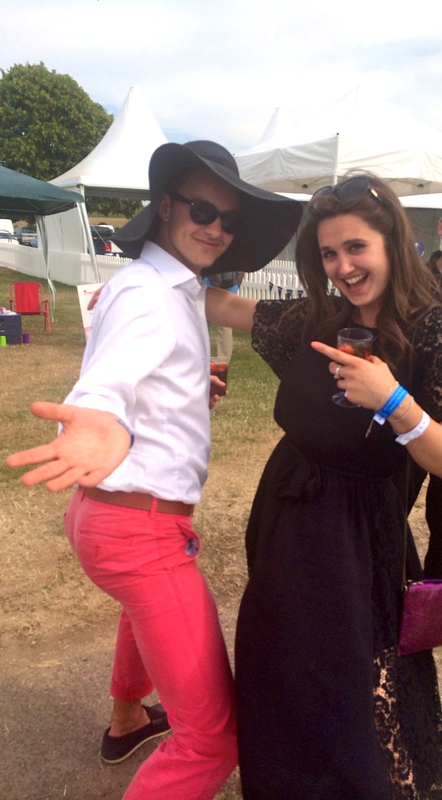 Henley, you’ve been wonderful as always. Over and out until next year!